The Railroaders lost their pace with the Hoppers last night and fell back to 3 1/2 games out of first place. The Oilers, in 3rd place, kept pace with the Hoppers and are now only 1 1/2 games behind the Railroaders. Pretty easy to figure what they have in mind tonight in Fulton and tomorrow in Owensboro. The question now is what is in the minds of the Railroaders? A heartbreak of a loss like last night can hang heavy and it can happen to any team. But I believe the Railroaders can put it behind them and get the train back on track, and keep it there! Since the 6 game winning streak, 5 games have been played with the Railroaders losing every other game (3 total). Its like the engine is misfiring or there are leaks somewhere. Time to patch any leaks so all the power can be used to win the games. There's certainly not doubt in my mind about the talent the Railroaders have to get the job done. Six times this season the Railroaders and Oilers have met. Each team has won three of the six. We have to regain our pace tonight and not lose any further ground, or the Oilers will replace us as second seed. In regards to the first seed? 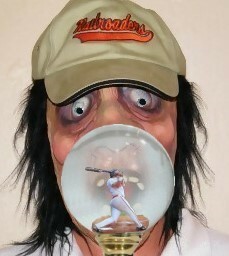 We can hope the Bombers, riding a 3 game winning streak, take care of the Hoppers tonight and tomorrow. In any view through, the Railroaders need to take care their own business and secure the second seed position in the standings. We should get another shot at taking out the Hoppers, but we'll have to produce wins to get there. Only a dozen games to go, no time to waste! Three games left with the Hoppers, 3 1/2 games behind them, 14 total games to go. The race for the season pennant remains close and any of the five top teams could pull it out. What's a Railroader to do? WIN Baby, WIN! The Railroaders have arrived at an important moment in the season. Two of the three remaining games with the Hoppers begin tonight at the Yard, and tomorrow in hostile Hoptown. Winning these games is the best chance for the Railroaders to secure their position in the pennant race. Owensboro is only 1 1/5 games behind us in third, and followed close by Madisonville 2 1/2 and Dubois County 3 games back. Wins both tonight and tomorrow keep Fulton in second place and will gain two games on Hoptown. Tough act as the Hoppers are riding a six game winning streak. They are playing will winning the close games or blowing out opponents with huge scores. 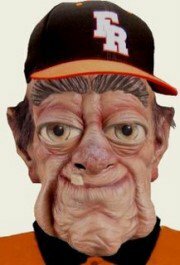 The Railroaders have shown they can do the same, however the last three losses were by only 2 runs, games the Railroaders couldn't pull out. Coulda, woulda, shoulda, heck, no time left now to continue that trend! The moment and time is now for the Railroaders to bring it up notch. It's simple, we'll need help from other teams if we don't control the Hoppers in our remaining game against them. 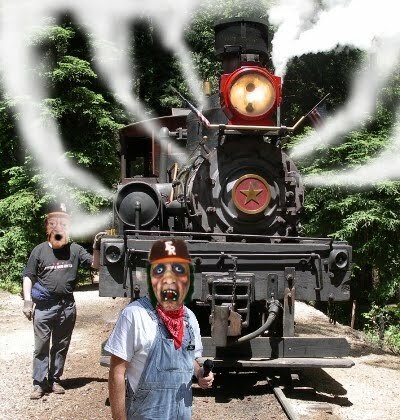 See you at Yard to watch the Railroaders Fire It Up once more for a run towards the finish. Fifteen games to go and 2 1/2 games behind the Hoppers. There are some big games this week. The Bombers come to the Yard tonight. The Railroaders have taken 4 or 6 games against the Bombers to this point, and it's important to keep up the winning play against them. They run the bases batter than anyone, but the Railroaders have them in every other category. It should be another great home game in Fulton. Tomorrow, Wednesday, the Hoppers return to the Yard with the Railroaders heading to Hoptown on Thursday. The Railroaders are 3-3 with the 1st place Hoppers and it's our final chance to close in on them going head-to-head at home. We need to make the most in our effort to defeat them in both these games. It's pretty simple, wins over this week will greatly strengthen the Railroaders chances in taking the #1 seed in the regular season standings. The Railroaders have the power and just need to get the train rolling down the stretch at full speed. Time to Fire it UP!